Gernitex specializes in the processing and weaving of technical fibers for composite parts in industries such as aerospace, sports equipment or flying models. It produces tapes and woven fabrics made of carbon fibers or aramid fibers. Fiber spreading methods allow to obtain tapes and fabrics with very low densities: from 21g/m2 for tapes and from 42g/m2 for fabrics, which makes possible the production of lightweight composite parts. Unlike traditional fabrics made of fibers oriented in the 0° and 90° degrees directions, Gernitex triaxial fabrics are made of fibers oriented in the 0°, +60° et -60° directions. This arrangement provides interesting mechanical properties: in-plane quasi-isotropy, final composite parts with greater rigidity, better impact resistance etc. 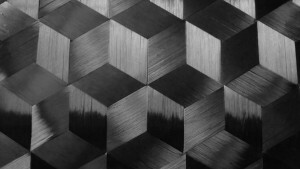 Because it exhibits a quasi-isotropy similar to a [0 °, + 60 °, -60 °] laminate, a single triaxial fabric layer may in many cases replace a laminate of two biaxial fabric layers.